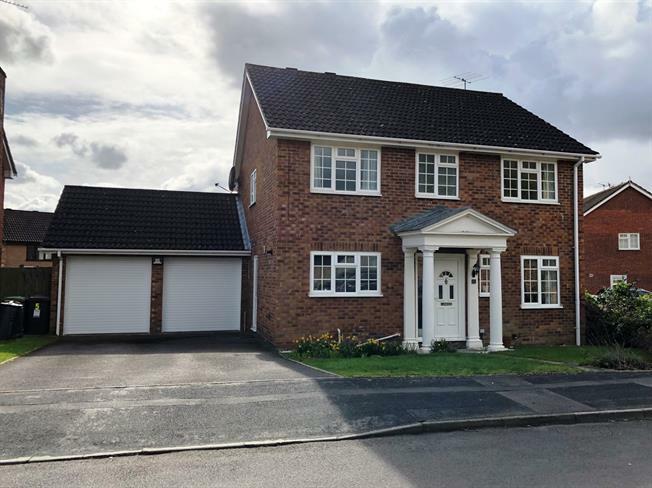 4 Bedroom Detached House For Sale in Basingstoke for Guide Price £525,000. This detached family home is nicely positioned within a quiet close in Chineham. The ground floor comprises of a pleasant entrance hall that leads onto a modern fitted kitchen, rear facing dining room, family room with French doors to the garden, study and cloakroom. Upstairs there is a spacious master bedroom complete with integral storage and ensuite. There are three further bedrooms and family bathroom. Externally the property benefits from a south facing, enclosed rear garden with side access, double garage with electric doors and ample driveway parking. Further benefits include gas central heating and double glazing throughout.